All Steel Cantilever tool box complete with tools. Cantilever design is ideal for easy access and organisation of tools. 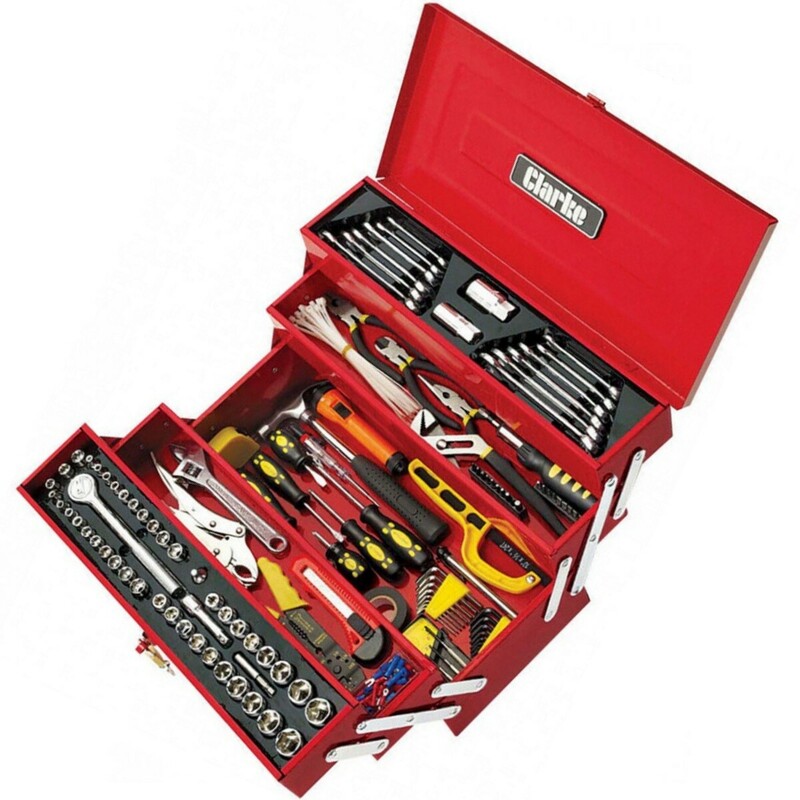 Kit contains a selection of the most commonly used tools offering great value. 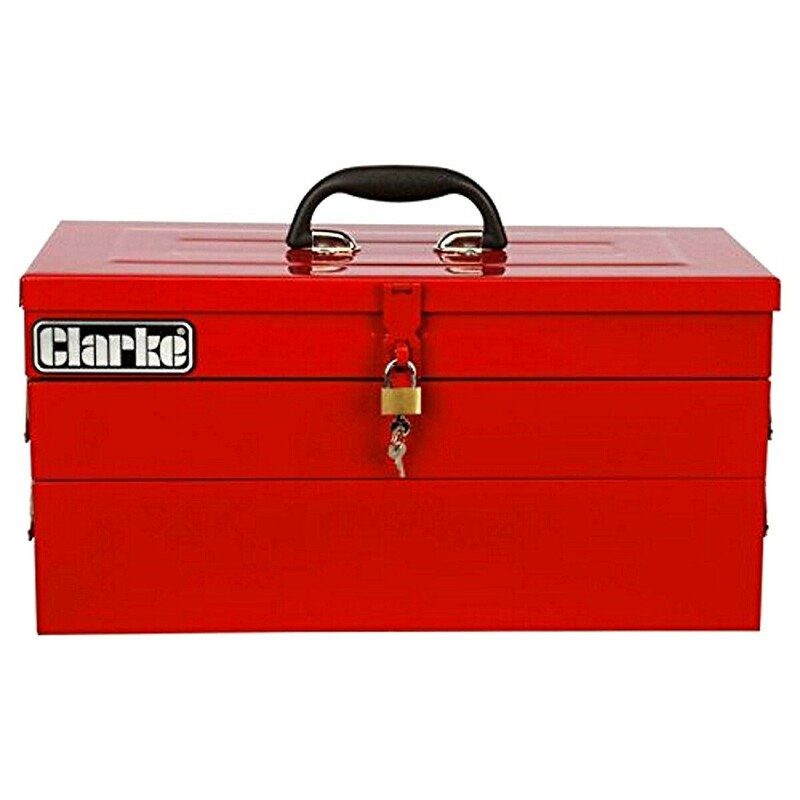 Chest is lockable (supplied with three keys and padlock) for security and has easy to carry handle. 3/8" Drive Ratchet Handle with Metric and Imperial Sockets. Ratchet Screwdriver Handle and bits. Mini Hacksaw and Utility Knife. Voltage Tester, Crimping Tool and Terminals.